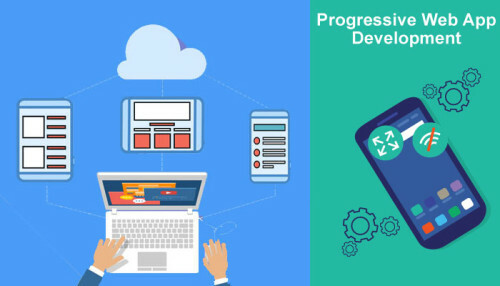 Progressive web app is a novel web development technology which provides your user the same experience in browsing the web on mobile as that of a mobile app. It is designed to reduce the loading time for your portal. It improves user experience and helps to improve conversions. PWA is inherently secured delivering content over HTTPS. The progressive web apps also provide offline access to the app. The Progressive web app works on rich technologies like JSON script and service workers. These two scripts help in converting your website into web app quite similar to web API. OdiTek Solutions is a Progressive Web application development company helping clients build progressive web applications that are not only lite and quick to load but also work independently of internet connections. As the providers of the Best Web and Mobile App Solutions, we can confidently say that Progressive Web Apps (PWA) are set to revolutionize the way users and companies interact. From the development aspect, opting for a progressive web app (PWA) for your company will result in a rapidly deployable product that is highly responsive and matches up to the user experience of having a specifically created native app. Our professionals are dedicatedly working for progressive web application development on different platforms. Our services result in the perfect blend of modern technologies and applications. With this, you get the web applications and mobile applications that are compatible with different browsers while increasing it's usability! We have a diverse team of engineers, designers and project managers - each an expert in their field. This means we can handle the complete development of your Progressive Web Application - UI/UX, Backend Development - everything! OdiTek Solutions is a pioneer in the designing and development of Progressive Web App. With our innovative approach, we always strive hard to bring new technologies to surface. We have an experienced pool of web app professionals who have diverse experience in development and provide a great user experience to the users. At OdiTek, progressive app development is a path breaker where our expert developers blend different technologies to serve the clientele with the best! Progressive web app development is changing the definition of web page development and is highly successful in attracting more customers! We understand the need for customized and professional services for all our valued clients and thus, are willing to offer the best deals. Our team of professionals is veteran in building responsive and profitable web apps. If you are looking for progressive web app professionals, allow OdiTek Solutions to build the best for your business!